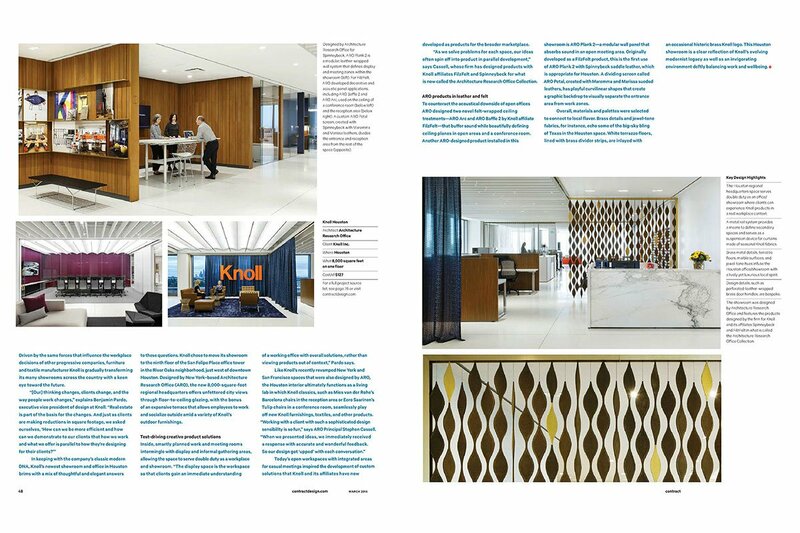 ARO Plank 2 and a custom petal screen at Knoll’s Houston Showroom by Architecture Research Office is featured in the March issue of Contract. 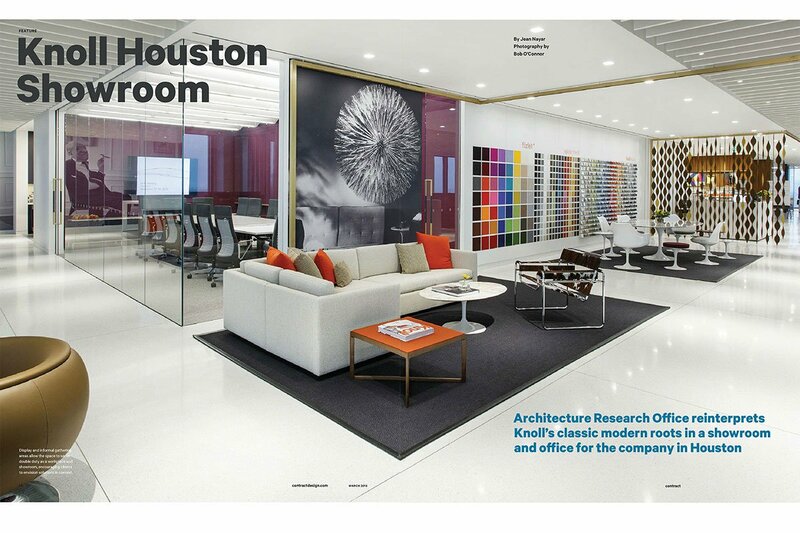 ARO Plank 2 features a rich covering of Saddle in SL 0068 in a modular system that allows customization across large areas. Nearby, a custom petal screen in the textural sueded leathers of Maremma and Marissa allows movement and separation with sinuous forms that move and shift with the slightest breeze.